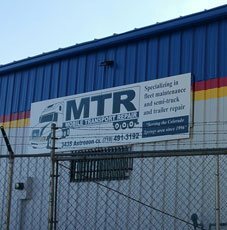 Welcome to MTR Mobile Transport Repair! We have been proudly servicing Colorado Springs with truck repair since 1996! MTR is a mobile repair shop that comes to you. 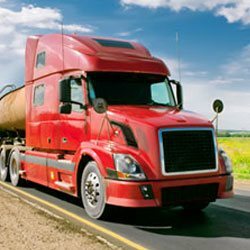 We specialize in all aspects of truck and trailer repair and maintenance. In addition to our on-site services, we have a newly opened 9,000-sq.-foot repair facility to assist in all of your big truck transport repair needs. 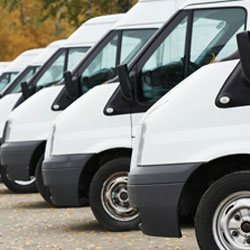 We are committed to helping your fleet stay safe and D.O.T. compliant. We can help keep your CSA points down and manageable with the installation of the special Brake Safe stroke indicator and Saf-T-Lock wheel lug locks. These lug locks also decrease inspection time. Additionally, we offer lift gate diagnostics & repair, decking repairs, and full-service welding. We are dedicated to ongoing training and top-of-the-line customer service, with emphasis on safety. MTR uses only the highest grade parts, and we offer full oil service including oil changes, vital fluids, filters and full waste oil capture. Vehicle and equipment breakdowns can occur anytime, so MTR offers roadside assistance. Use our expert mobile services for emergency repair to ensure that your vehicle is back to speed in no time. 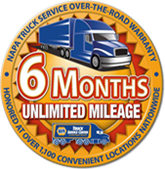 MTR is a NAPA Truck Care Center, which ensures we follow high industry standards and a strict code of ethics, giving you peace of mind that you are getting the highest quality truck repairs and service. 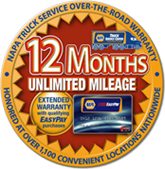 We specialize in keeping your truck safe and reliable with routine maintenance, service and repairs. 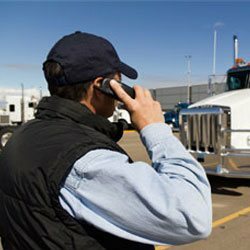 Mobile Transport Repair hires trained technicians and truck mechanics in the Colorado Springs, CO area who are willing to stay on top of the latest technology in the truck industry through ongoing schools and training. The shop takes pride in being up to date, clean and as efficient as possible to get your truck in and out as quickly as possible. Located in the Colorado Springs area, we service the following communities: Denver, Castle Rock, Hwy 87, Pueblo, Hwy 94, Canon City, Walsenburg, and surrounding areas.